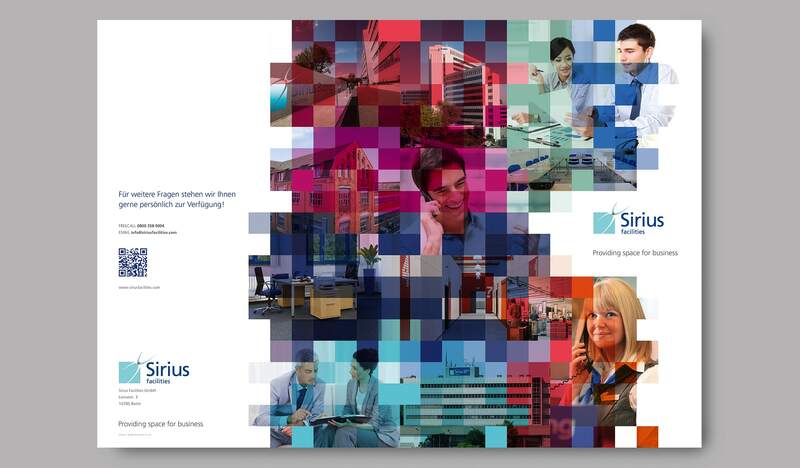 After many months of planning and design, the new Sirius Facilities corporate brochure has finally been signed of and sent to print. 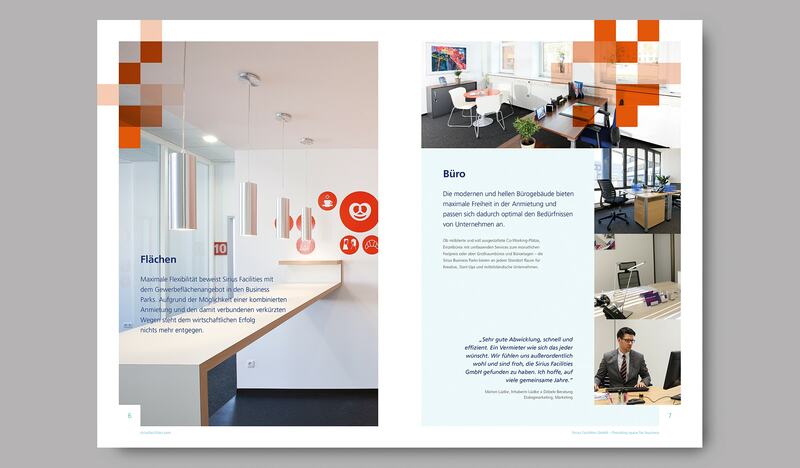 The design was worked on in both the UK and at the clients HQ in Berlin earlier this year. 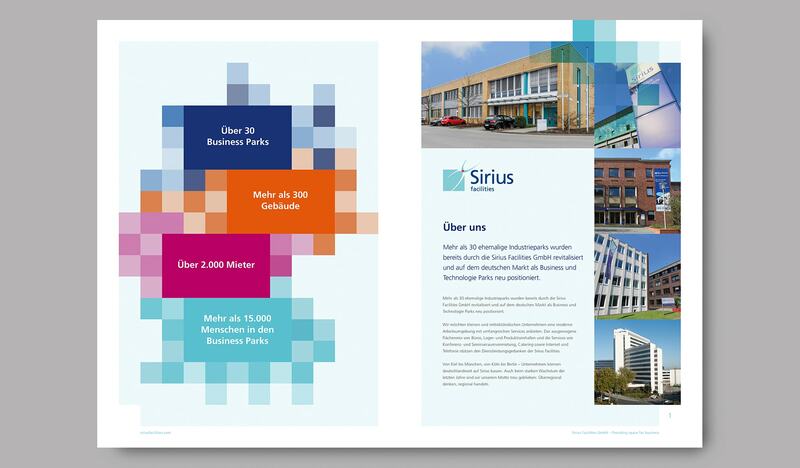 The brochure has been designed as an overview of the complete business of Sirius, giving a page to each of its business areas. The new “square montage” illustration for the front cover was created and taken from the companies colourful brand “squares”. 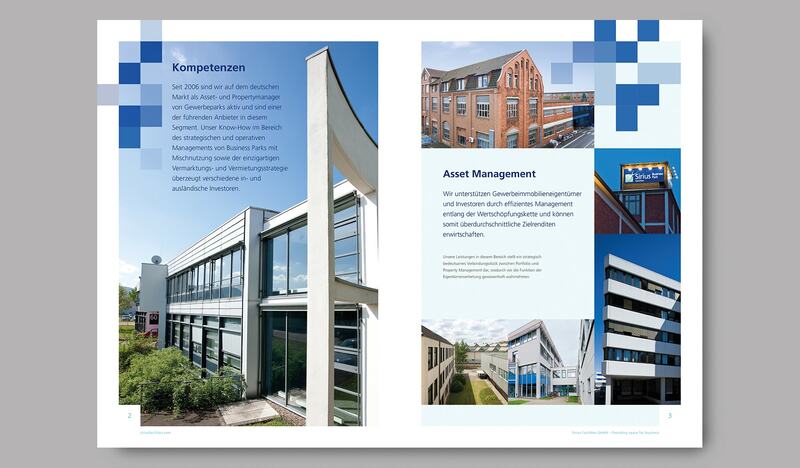 The brochure has been created in both German and an English language version, for which Greybox assisted with the copywriting. 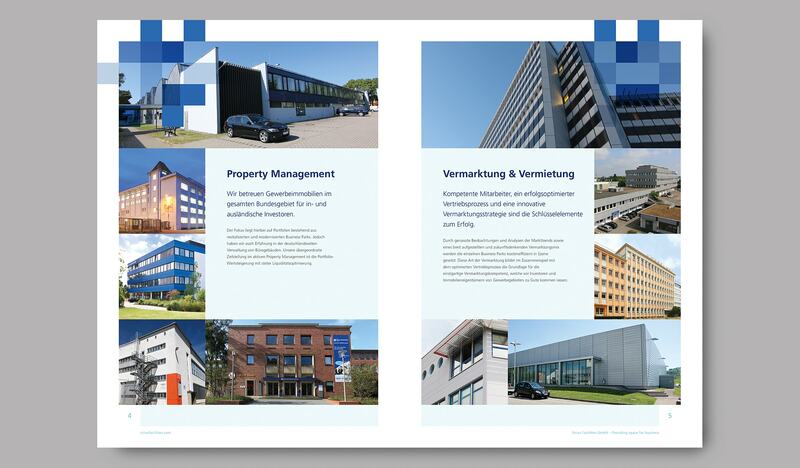 We are looking for ward to seeing the brochure in print, and will be updating the case studies with shot soon.